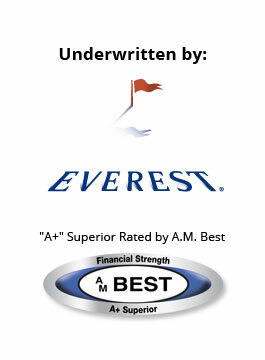 Everest Re Group, Ltd. of Hamilton HM DX, Bermuda is one of the top 10 insurers/reinsurers worldwide. A deep product line and the expertise to put it to work for our clients - these are the hallmarks of the Everest Re Group, Ltd. and its affiliated companies. These companies represent the primary insurance division and offer property, casualty and specialty lines on both an admitted and non-admitted basis. Drawing upon impressive global resources and financial strength, we have the ability to tailor each policy to meet the individual needs of our customers based on our discussions with our producers. Our vast portfolio of products has the depth to manage virtually any kind of risk and we are able to provide a full array of claims and loss control services handled by a network of seasoned professionals. But the biggest advantage one finds with Everest is an unsurpassed knowledge in each risk category and an entrepreneurial spirit that inspires us to create insurance solutions as diverse as our clients. Add to that rock solid investments and reserves that have resulted in top ratings from each of the rating agencies, and you have an industry leader you can depend on in any weather. Backed by solid financials, our business is written through a network of appointed retail agents and brokers, wholesalers and Program Administrators.